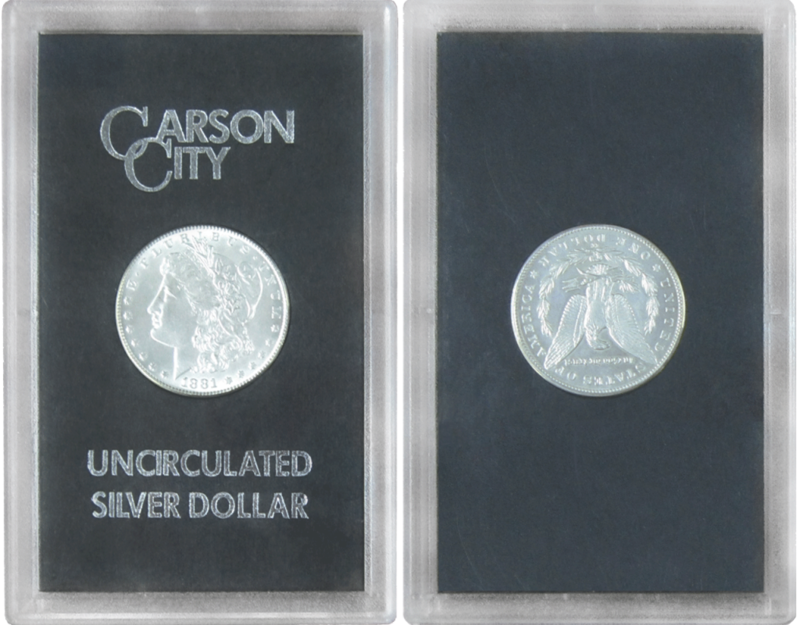 From 1972 to 1980 the General Services Administration (GSA) sold a group of Uncirculated Carson City Morgan dollars that was discovered in Treasury vaults. Each coin was sealed in a special slab-like plastic case. A thin black & silver cardboard box held the slab and contained a numbered certificate. Many of the original boxes and cases have been destroyed as coins were sent to grading services; nevertheless, these GSA coins in original holders can still be found with a little searching. On the last day of the Summer F.U.N. 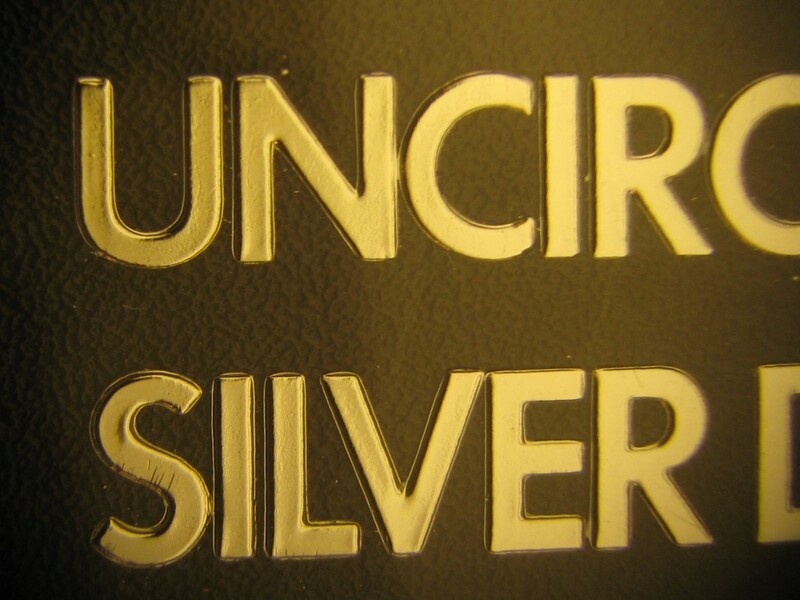 Show in Orlando, Randy Campbell, ICG Senior Grader and silver dollar authority, was asked to give his opinion on the grade of one of these coins still in its plastic holder but without the outer box. Verbal opinions are a free service provided at shows by ICG graders. 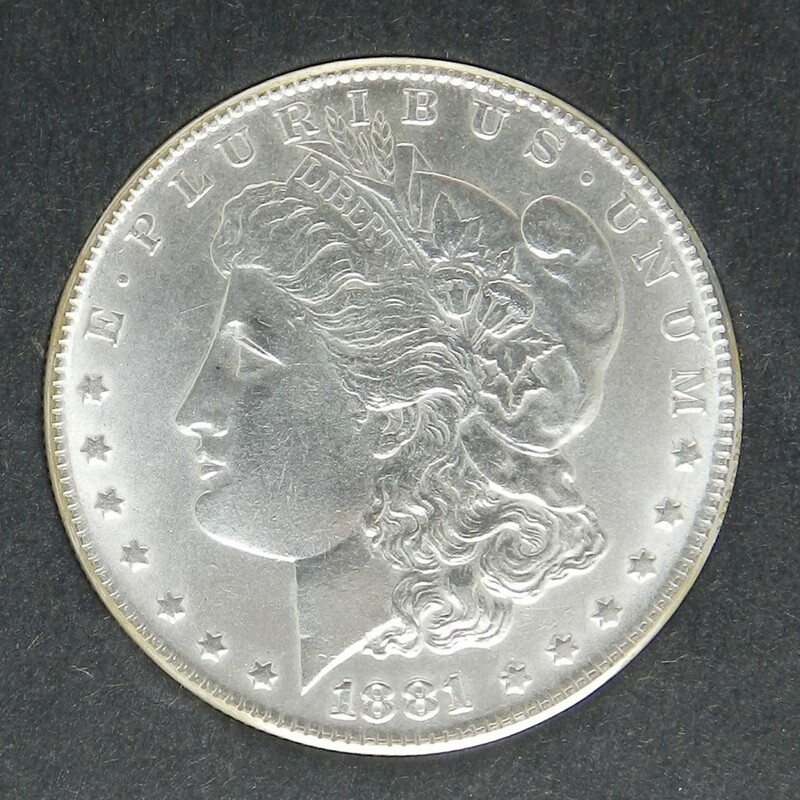 As it turned out, this simple request caused quite a stir and soon the ICG table became crowded with dealers and collectors wishing to view the coin. Campbell reports that he noticed the coin was cleaned and had the color of a dollar minted at Philadelphia rather than Carson City. 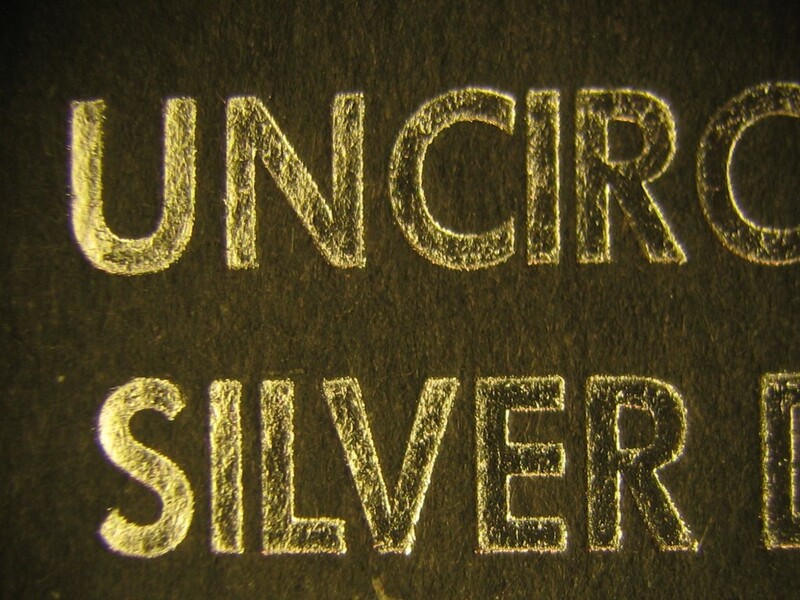 Genuine Uncirculated GSA coins are not cleaned. 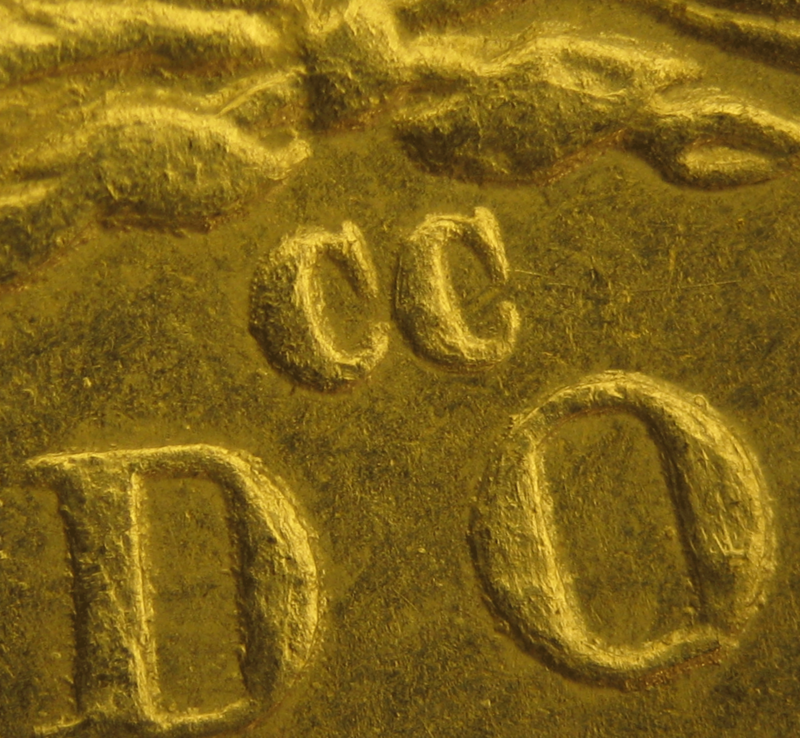 After a short examination, Campbell discovered that the 1881-CC coin was a modern counterfeit probably made in China. Moments later, Campbell announced that the entire “package” was bad (Fig. 1). 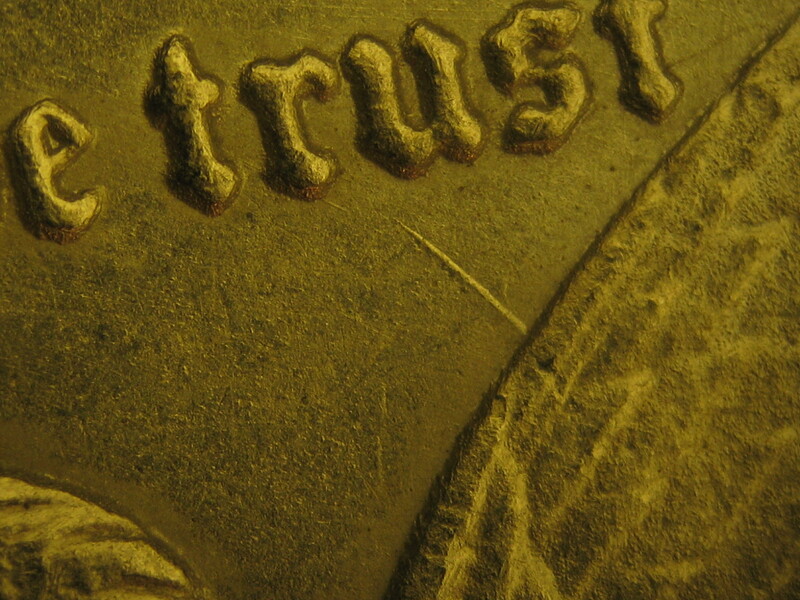 The coin was counterfeit, the black insert surrounding the coin was counterfeit and the plastic case was not original. Let’s start with the coin. 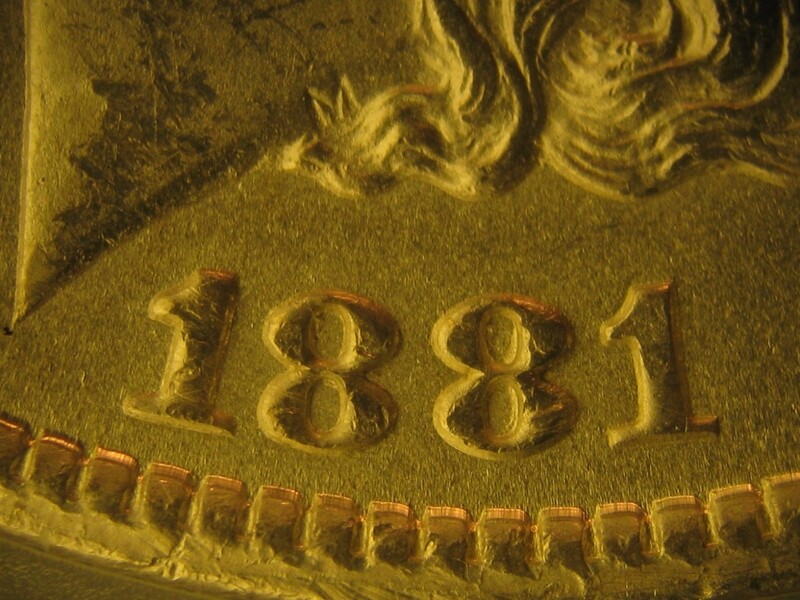 On a quality scale of 1 to 10, ICG authenticator F. Michael Fazzari rated the coin as a 6+. 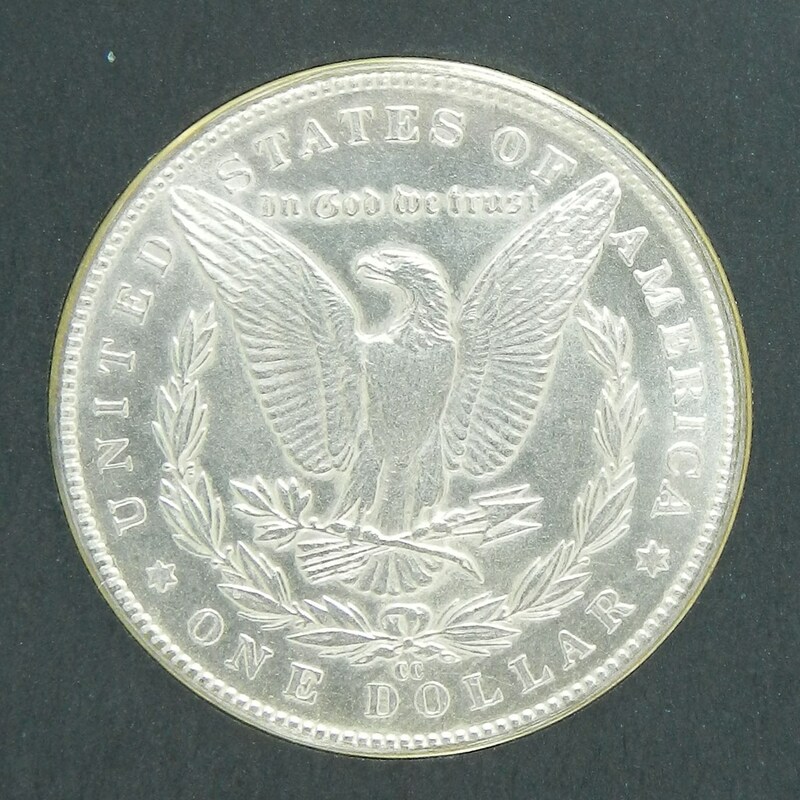 It is not as dangerous, or as well executed, as the Trade dollars (rated 8+) that appeared in the market several years ago; but he believes it’s a coin that would be purchased by at least 40% of the dealers at the show who would probably not give it more than a cursory glance inside the government holder. Fazzari states that he viewed a fake Carson City dollar of similar quality on the final exam at a seminar on Chinese Counterfeits taught by Dr. Gregory DuBay and Beth Deisher in Colorado Springs. The quality of most Chinese counterfeit dollars seen by ICG authenticators is rather crude – especially the date digits. 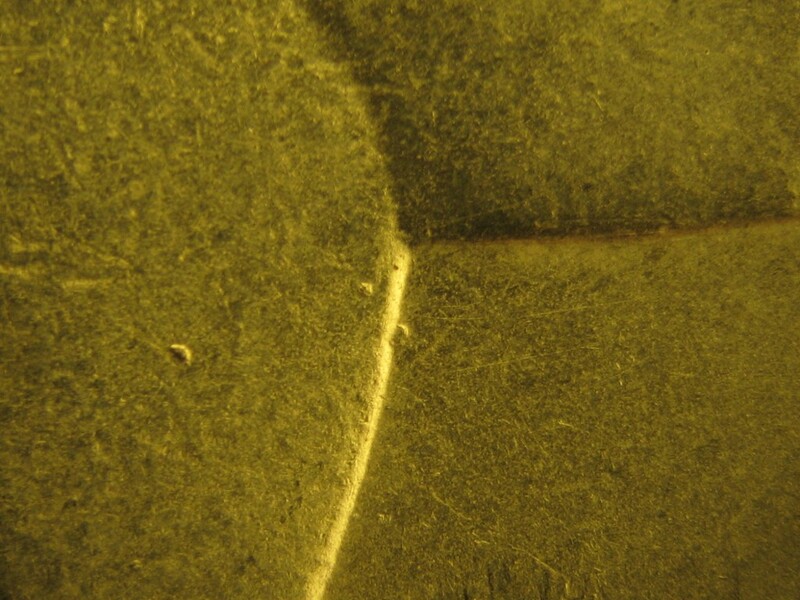 This counterfeit had a nice style that was pleasing to the eye; however, with 7X magnification using fluorescent light, defects could be seen on its relief. 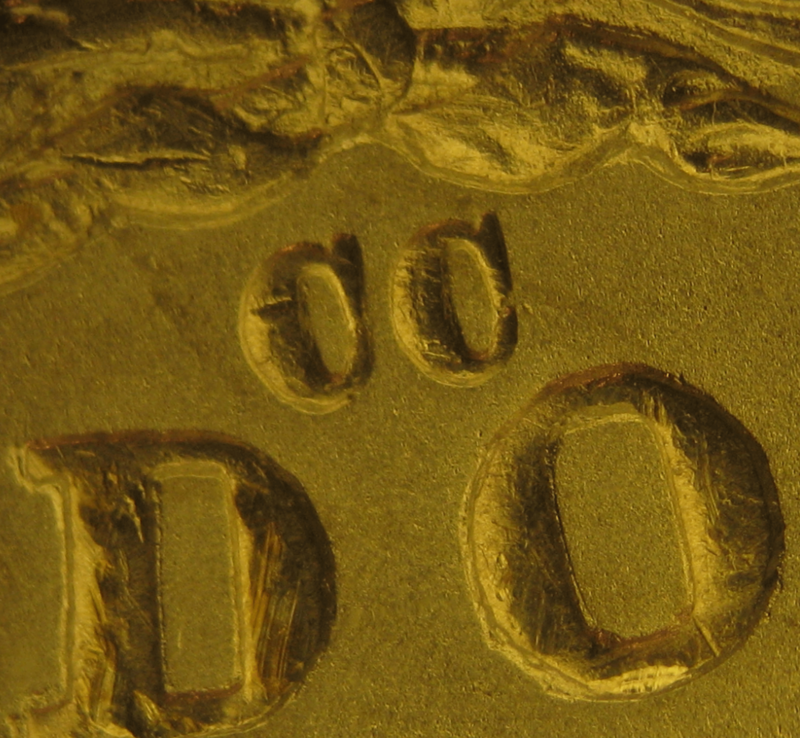 A comparison of the mint mark area of a genuine Carson City dollar (Fig. 2) and the counterfeit (Fig. 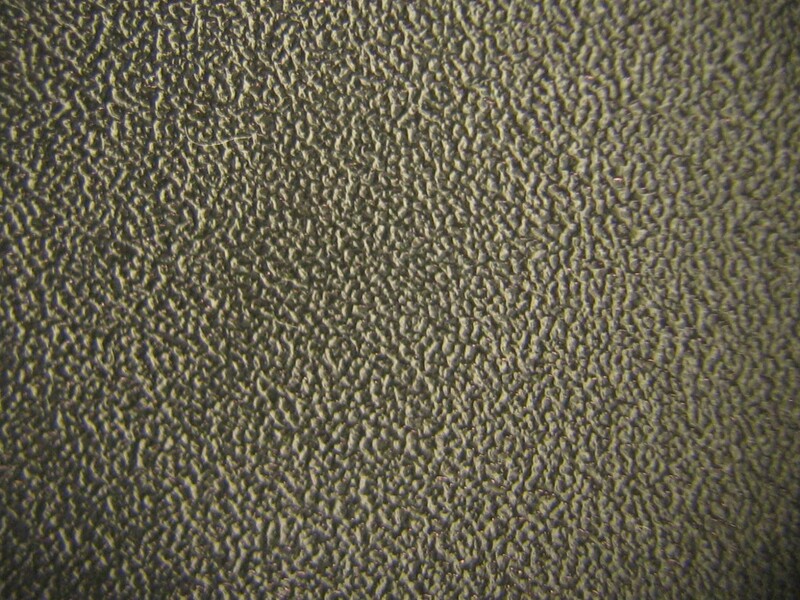 3) is shown in the micrographs. 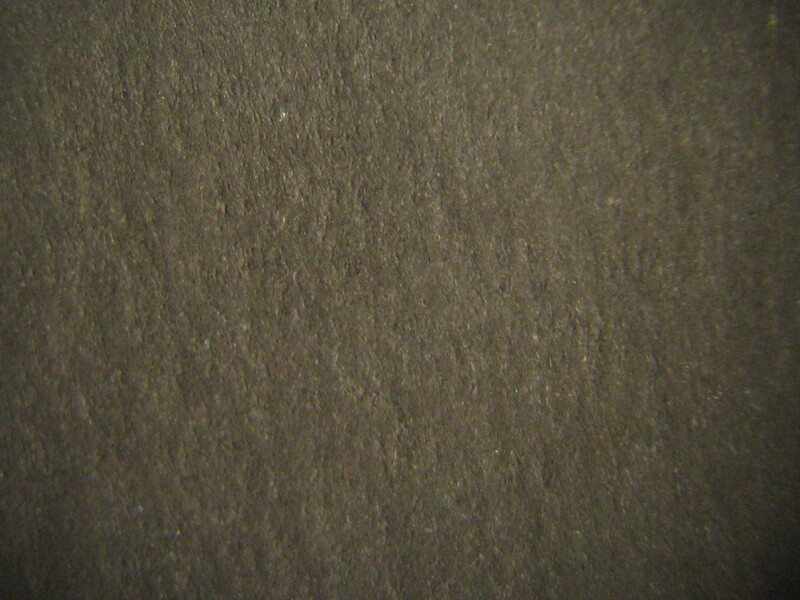 The black insert used to hold genuine GSA dollars is made of plastic with a granular pattern (Fig.4). Campbell noticed that this fake was surrounded by a smooth cardboard insert (Fig.5). While a discussion about the quality and manufacture of the outer plastic case was going on, ICG staffers Libby Dollar and Ryan Barnhardt purchased a set of proof presidential dollars from a dealer nearby. Upon examination, they confirmed Campbell’s belief that the fake used a genuine mint plastic case to further the deception (Fig.6). 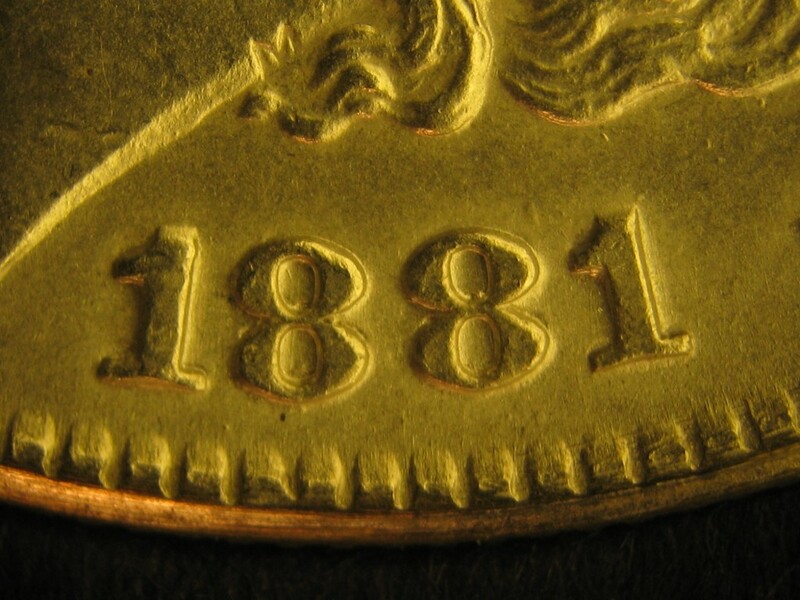 The modern mint case surrounding the counterfeit insert is not permanently sealed. Additionally, it has a slightly different design from the sealed GSA product (Fig.7). 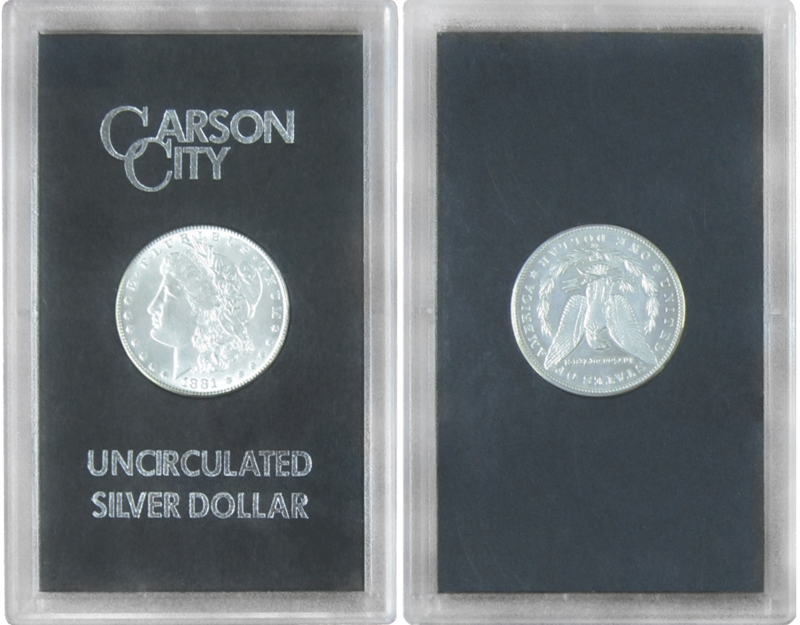 Finally, a bright silver “Carson City Uncirculated Silver Dollar” logo is imprinted on the inside of the genuine GSA plastic case (Fig.8). The counterfeit product has its logo printed directly on to the black cardboard giving it a rough appearance (Fig. 9). In view of this new counterfeit, collectors should check their GSA coins and compare any that are questionable with the photos posted.